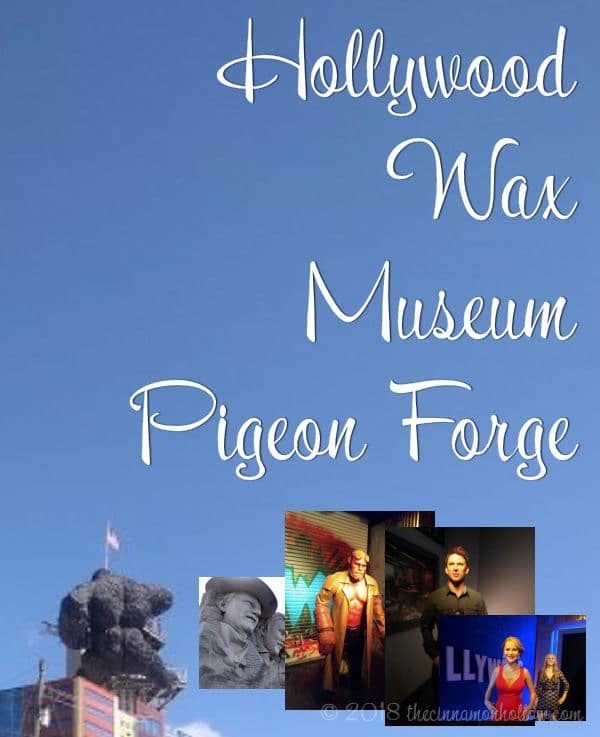 Hollywood Wax Museum Review by Crystal Martin | Visit The Hollywood Wax Museum And Castle Of Chaos! 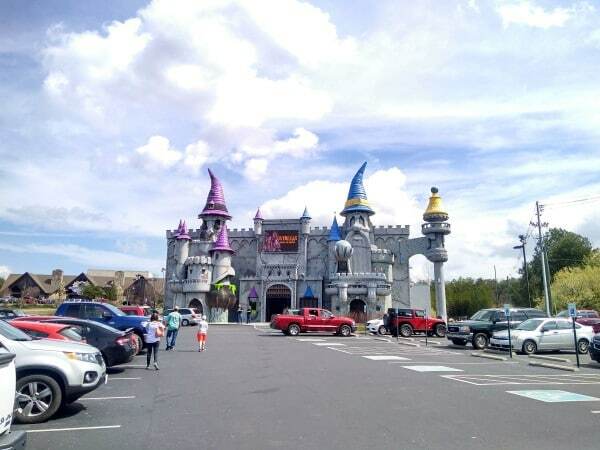 A few years ago, Clay and our entire family (10+ people) visited the Hollywood Wax Museum and Castle Of Chaos in Pigeon Forge, TN. We had a lot of fun, but since there were so many of us plus small kids, it was hard to really take our time and see all the statues. I told Clay, then, that I wanted to go back sometime when it was just the 2 of us. So, this year, we made that happen! I have a huge slideshow on the next page filled with tons more photos than what are in the post! We received complimentary tickets as member of the US Family Guide. All opinions are strictly our own. I didn't really notice any new displays, since our previous visit, but because there are so many, I was able to read the info panels on some I'd missed before. So, in my opinion, it is worth it to go a few times even if the displays don't change often. I loved walking through and looking at all the celebrities. Many looked spot on to the actual star. There were a couple that, to me, didn't really resemble them too much. I thought Dolly Parton did somewhat when looking her right in the eyes. But from the side, no. Robert Pattinson and Kristen Stewart and Jim Carrey didn't look authentic to me, either but most everyone else did. It's really cool to walk through and take your pictures near the really authentic looking stars. You feel like you're getting a photo with the real person! After we left the Hollywood Wax Museum, we headed over to Castle of Chaos to ride the 5D adventure. 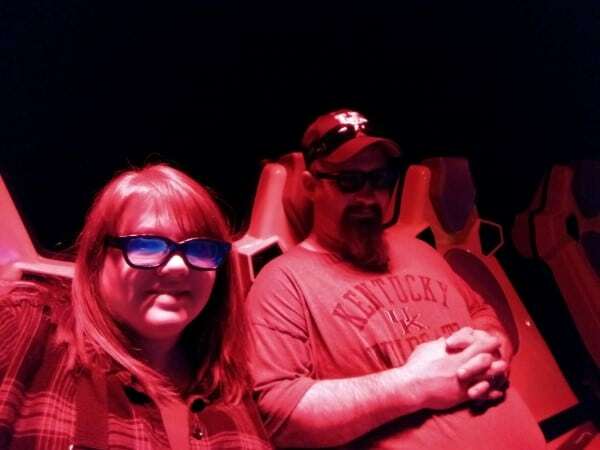 This is, by far, our favorite out of all 5D and even 7D rides in the area! You really do feel like you are moving through the air, with wind in your face, twisting, turning and bumping into things along the way! The graphics are fun and we had a blast shooting Werewolves! I have this on my list of things to do each visit. Next, we went through Hannah's Maze Of Mirrors. This wasn't open the last time we went so I really wanted to try it. Honestly, I was a little disappointed! There is a short movie in the beginning telling you the backstory of Princess Hannah and why she is trapped in the mirror. It was sort of "meh". The characters were odd looking and the story didn't flow well. There is a spinning tunnel when you first enter that makes you super dizzy. I had to close one eye just to get through it. But it was fun and it was different. Then, once you enter the mirror maze, it is short lived. It took us, maybe, 5 minutes to go through. I was hoping it would be longer and more things like the tunnel at the beginning. But once you went into the mirrors, it went too quickly and there was nothing in there to sort of break it up. So, we probably won't ever do that on its own. Only if we've purchased the Hollywood Wax Museum All Access Passes and not individual attraction tickets. The kids would probably really like it though. 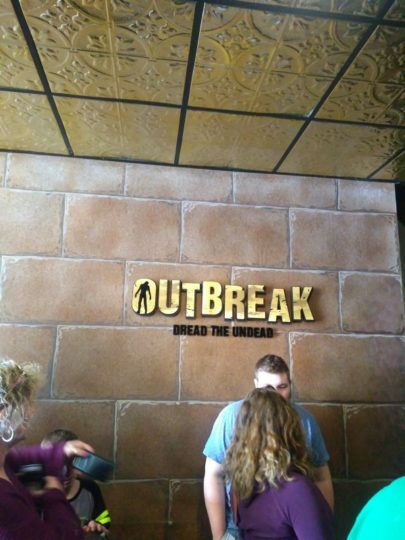 There is also something called "Outbreak, Dread The Undead". We thought it was a breakout game and that it would take too long. We had some other things we had to do that day so we skipped it. Actually, it was more of a zombie haunted house. And, even though I'm not a fan of horror movies, I do wish we'd stayed and gone through this together. I probably would have had my eyes closed the entire time and a death grip on Clay's hand but I wish we had gone through! All in all, if you purchase an All Access Pass and go through everything, not just the wax museum, it is well worth it, including the mirror maze. Visit this post for a slideshow with tons of photos from our trip! 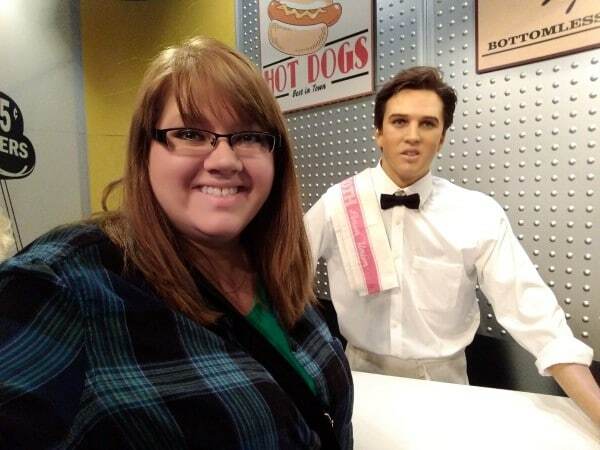 I hope you enjoy our Hollywood Wax Museum slideshow. 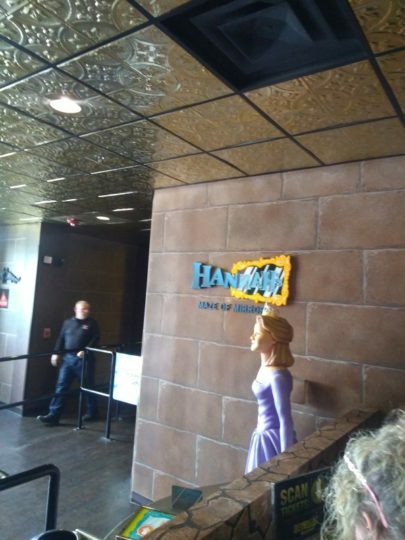 There are tons of photos of the wax figures as well as as Castle of Chaos and a couple from our meal at The Local Goat, which is nearby the wax museum. If you've never eaten there we recommend it! Be sure to try their Deep Fried Deviled Eggs. They are incredible! Don't forget, my readers can save $2 on the Hollywood Wax Museum All Access Pass. Details on this page!